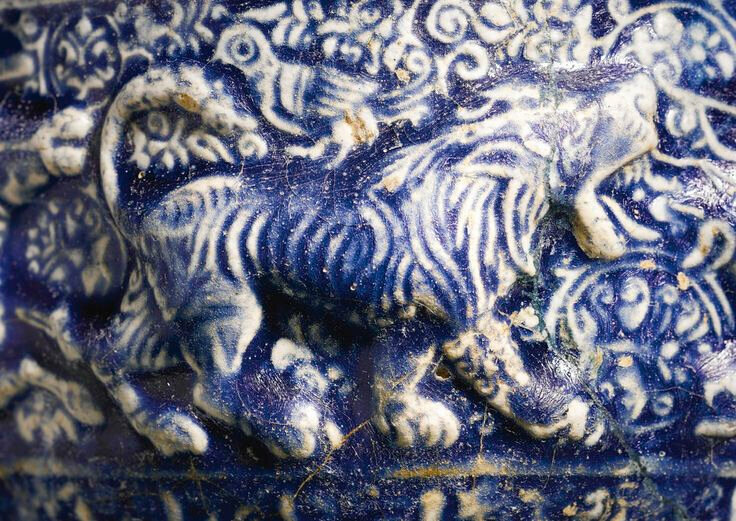 the stonepaste moulded and covered with a cobalt-blue glaze on a short foot, featuring a frieze with hunting scenes comprising riders on horses and lions. 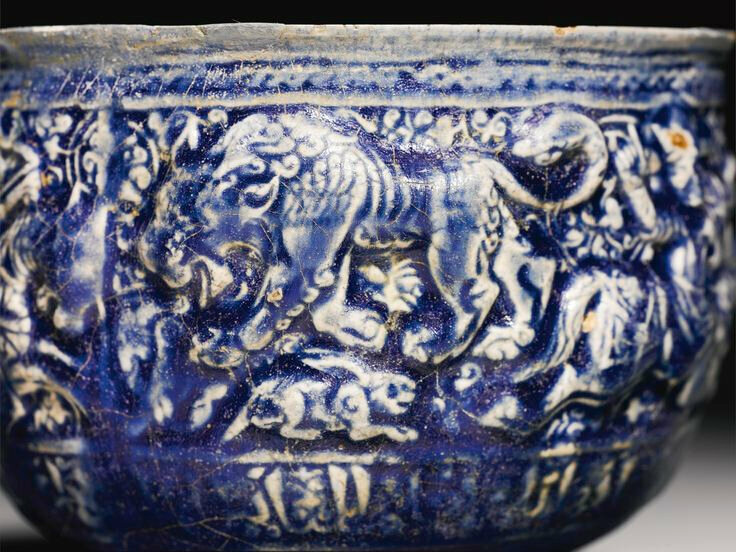 Note: This is a superbly worked and exceptionally refined example of medieval Persian pottery. 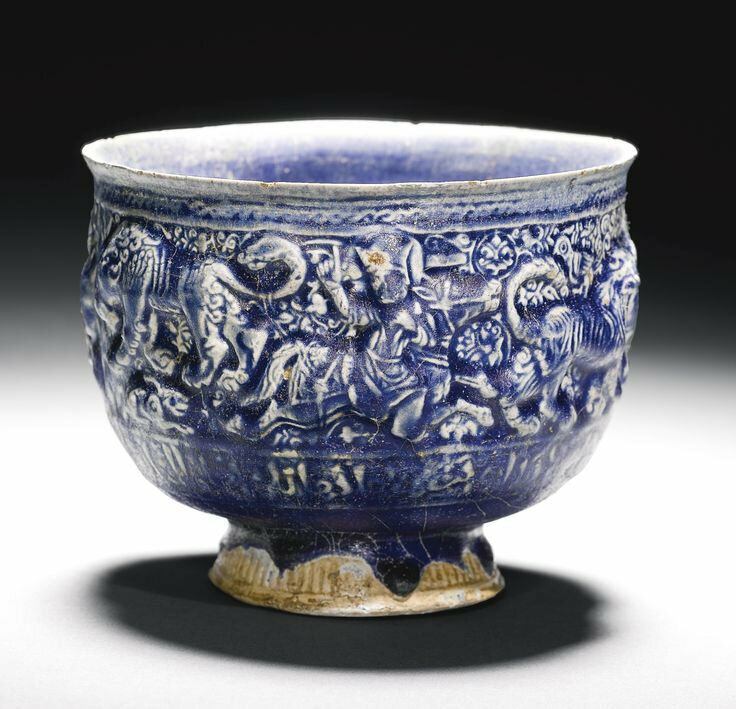 The quality of the paste and glaze, the precision of the potting and the finely moulded decoration suggests a prestigious commission for a high status individual. 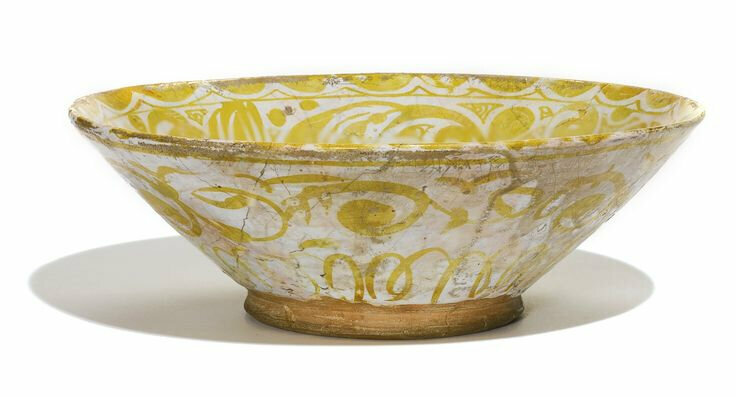 Its design is remarkably similar to that on a bowl in the Louvre Museum, Paris (inv. no. MAO 2073) which must have come from the same mould (see Islamic Art at the Musee du Louvre, ed. S. Makariou, Paris 2012, pp.157-59. 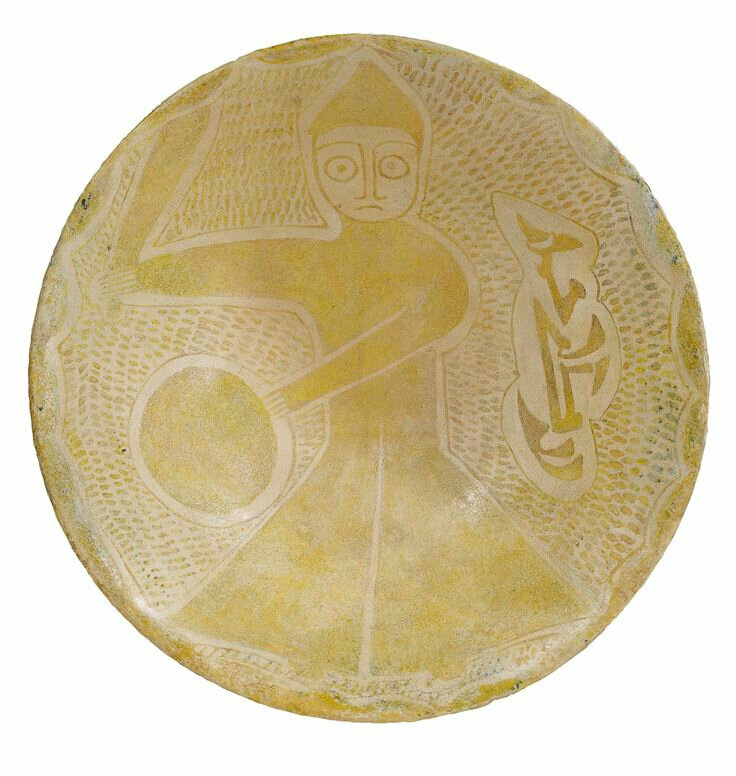 The subject matter on both these pieces centres around the theme of the hunt, a courtly occupation, and were most probably influenced by a contemporary illustrated Shahnameh or some other related historical manuscript.